If you can’t resist a tie-in or adaptation for your favourite game, let this new bundle from the guys at Humble Bundle tempt you. 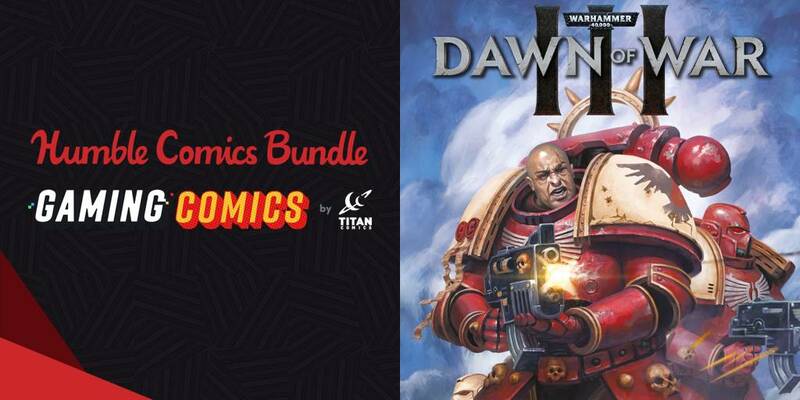 The bundle, held in collaboration with Titan Comics, includes gaming comics for the likes of Assassin’s Creed, Dishonored, The Evil Within, and Dark Souls. For the princely sum of $1, you can get your hands on Assassin’s Creed: Locus #1 – 4, Dishonored #1 – 4, The Evil Within #1 – 4, Assassin’s Creed: Templars, and Assassin’s Creed. Quite a good introductory price if you aren’t really much of a comics person. The next tier will set you back $8, include the previous comics as well as Dark Souls: The Breath of Andolus #1 – 4, Assassin’s Creed: Uprising #1 – 4, Assassin’s Creed: Awakening #1 – 6, Assassin’s Creed: Templars #6 – 9, and Assassin’s Creed #6 – 10. There’s a lot of AC in this bundle, apparently. The final tier includes all of the previous mentioned comics and *breath* Warhammer: Dawn of War III #1, Tekken #1 – 2, Dark Souls: Winter’s Spite #1 – 4, The Evil Within: Interlude #1, Dishonored: The Peeress and the Price, Assassin’s Creed: Origins #1, Assassin’s Creed: Reflections #1 – 4, and Assassin’s Creed #11 – 14 for $15 in total. The bundle runs for the next two weeks with a cut of the money raised going towards The Able Gamers charity. As a small bonus, whoever buys the bundle will also get free items for World of Warships, if that’s your kind of thing. Elsewhere on Humble, the Team17 sale gives you discounts on a whole range of Worms games and more. If you want a lot of big games for a small price, the Humble Monthly for May 2018 includes Dead Rising 4, Kerbal Space Program, and Ruiner for $12, as well as a bunch of other as yet unannounced games. If you’re new to Humble, check out what we think of their Monthly service.